Families these days are experiencing something totally new- unprecedented screen time. As much as I myself enjoy my screen time, I also feel very strongly that it is so important to #UnPlugNPlay. 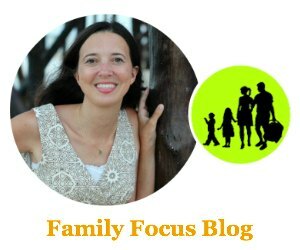 Getting off the screens and enjoying some active family time together is important to building bonds, keeping communication going, and learning healthy activity habits. 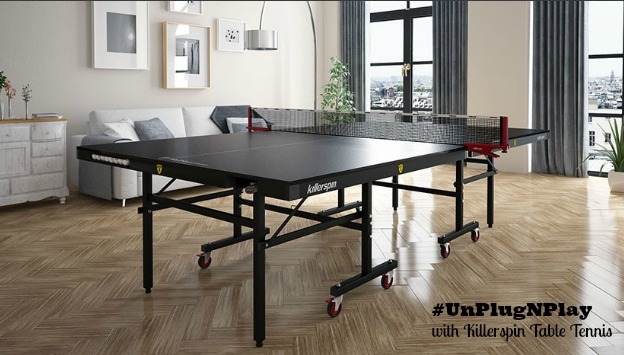 This post is brought to you by Killerspin Table Tennis and they make it fun for your family to #UnPlugNPlay. Most all kids would happily bury their heads in a phone, tablet, computer, or console and just stay there vegged out. Many adults would too. However, social media and online games often have the effect of isolating users and this digital living can become a larger and larger obstacle to family ties each year. #UnPlugNPlay is designed to help parents get their kids (and themselves) to put down the phone and step away from the computer or console and truly enjoy some family time. #UnPlugNPlay is all about family activities and having real life fun with real life people, interacting as a family, and making memories. 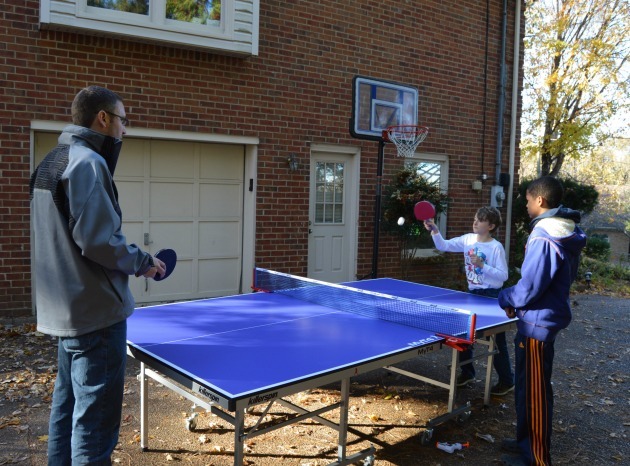 Killerspin Table Tennis can help families #UnPlugNPlay and experience the benefits of doing so. #Killerspin is the world’s only luxury table tennis experience brand. UnPlugNPlay is simple. Family, Friends, and Co-Workers can connect with the people they care about over a fun game of ping pong that doesn’t require any special athletic abilities. All you need is a Killerspin ping pong table, a few paddles and some balls. Then you simply put down the technology, round up the family, and grab a paddle for some fun. Have a family tournament for bragging rights. Challenge your child to a match where the winner doesn’t have to do the dishes! Or enjoy UnPlugNPlay by just hitting some balls together and enjoying the friendly banter that comes with it. 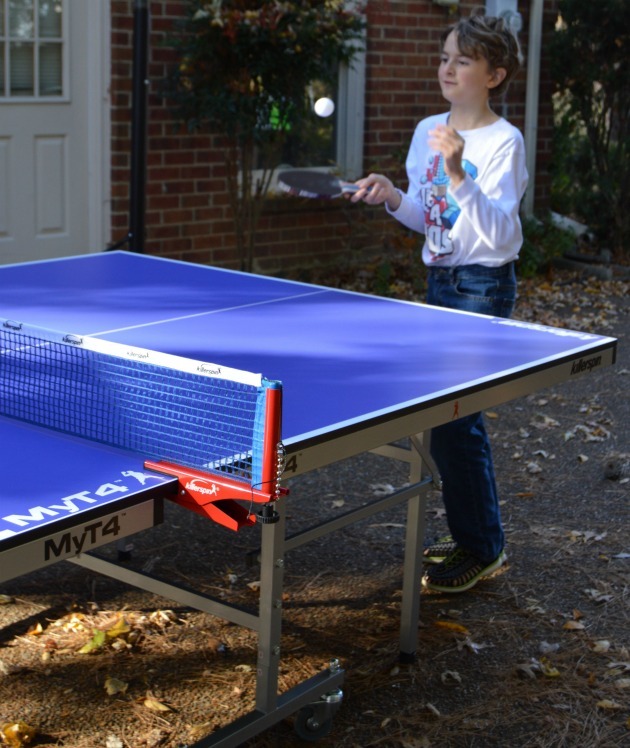 My family received the Killerspin MyT4 table tennis table and a Jet Set 2 paddle and ball set so we could experience #UpPlugNPlay ourselves. It comes in a black or blue option. It arrived in a large flat box and was almost entirely assembled. It is foldable ping pong table so we just unfolded the legs and popped on the wheels to set up the killerspin ping pong table. Then we added the net and got out the paddles. I added a basket to our ping pong ensemble so that the kids would always put the ball and paddles away properly. I love how this foldable ping pong table folds away flat for storage so that it takes up very little room when not in use. I also love that it has wheels because I love to roll the Killerspin ping pong table out onto our driveway when we play so that we can have some easy outdoor family fun. Killerspin table tennis is a great way to UnPlugNPlay. It doesn’t have to be a huge time commitment. Benefits of UnPlugNPlay can be achieved in as few as fifteen minutes per session, so there’s no excuse that someone’s just too busy. A several-round family tournament can be completed in just a few short spans over a week’s time. My kids are 9 and 11 and ping pong is great because it is a sport that is fun for all ages, abilities, and skill levels. While my kids are not as good at ping pong as my husband and I are yet, we can all still have fun together. Everyone from first time beginners to seasoned pros have a blast playing ping pong. I really like that this killerspin ping pong table is a fun way for us all to connect in an active way. Our competitive nature leaves us eager to pickup the paddle for a rematch any time. Beyond strengthening family ties, #Killerspin #UnPlugNPlay is also great because I feel that it is beneficial for my kids. Playing ping pong helps sharpen the mind and I can see my son benefiting already with an increase in hand eye coordination. It is actually a low impact sport that burns a few calories without taking too much energy and it is appropriate for all levels of physical ability. Whether for a quick after school match or a weekend tournament, for a parent-sibling match up or a child-friend match up, we are enjoying our Killerspin ping pong table. It will be great for playing with visiting friends and family over the holidays too. It’s up to you how you UnPlugNPlay but one thing is for sure- when you put down the technology and pick up the paddles, your family will have a great time and build real bonds. Conversations come naturally at the ping pong table, where it is easy to discuss how your day was or what is going on at school. 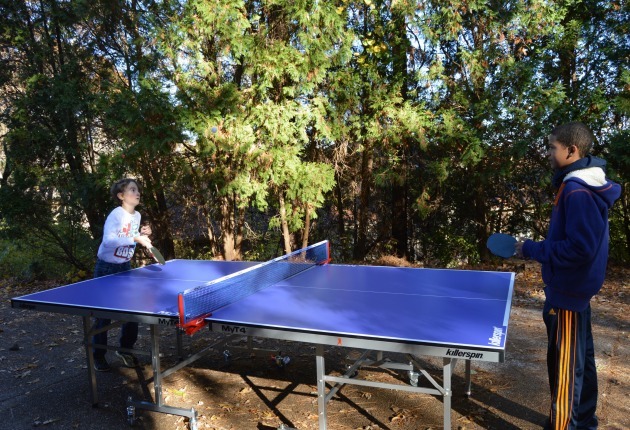 Killerspin table tennis makes it easy to create shared memories and strength family bonds. How do you think your family can benefit from including the UnPlugNPlay ritual in their lives?